By the time you read this, an extremist Christian minister in Florida may or may not have burned copies of the Koran. He is far from the first, and he won’t be the last, to try to kill a book. Censorship and book burnings are an ugly, but persistent, aspect of world history. Excuses for banning and/or barbecuing books have included sexual and socially disturbing content. This week’s threatened Koran burning, though, is about politics and religion [and it’s getting mighty hard to separate the two]. What other books have been banned, burned or censored for so-called religious reasons? The list is long, and no religion can claim innocence. Here’s a sampling, culled—and freely paraphrased—from 100 Banned Books: Censorship Histories of World Literature. 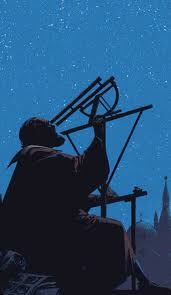 As you may remember, Galileo was the professor of mathematics at the University of Pisa who looked at the sky through a refracting telescope that he designed, and concluded that, 50 years earlier, Copernicus had been right: We live in a sun-centered universe. The Vatican denounced Galileo’s book as “dangerous to the faith.” He was sentenced to prison and required to make a public renouncement of his ideas. He did so, but legend has it that after making his statement, he muttered “And yet it [the earth] moves.” In 1992, 359 years after Galileo recanted [or didn’t], Pope John Paul II formally pardoned him. In 1232, the rabbis of France cut a deal with Catholic Dominican friars, who were role models for banning and burning—and not just books. The monks agreed to confiscate copies of Maimonides’ work and burned them, as a warning to Jews to keep away from a dangerous line of thinking. Maimonides may have been the first Jewish scholar to have his works officially burned. And at the behest of his own people, yet. Oy! Note to Koran-burning Christian ministers: The “holy” book that you’re quoting from is among the world’s most censored. Can you imagine your own outrage if someone announced a Bible-burning? For a book whose every word is so fundamental to so many people, it may be surprising to learn how controversial it has been. Many early censorhip efforts focused on translations of the text viewed as the “original.” In the Middle Ages, the Catholic Church guarded its Latin text jealously, fearing that translations would lead to non-sanctioned interpretations. So, in the 14th Century, when John Wycliff wrote an English translation, the church banned it in England. Similarly, William Tyndale’s English translation of the New Testament—which had to be smuggled into England in 1524—also was banned, and publicly burned by church officials. Worse yet, John Rogers, who produced another English translation, was himself burned as a heretic in 1554. If you’re thinking that Bible censorship is strictly a medieval activity, think again. In the 1960s and 1970s, during China’s Cultural Revolution, Bibles were burned as part of the effort to get rid of the “four olds: culture, thinking, habits and customs.” In the US, in the 1960s, a conservative group sued the University of Washington because it offered a course on the Bible as literature. [They lost.] In 1981, Christian fundamentalists in North Carolina burned copies of a controversial, gender-neutral version, called “The Living Bible.” Still others, in an effort to separate church from state, have attempted to have Bibles removed from public-school libraries. Full disclosure: I haven’t read The Satanic Verses, but neither had the members of India’s Parliament who, upon the book’s publication, immediately launched a campaign to have it banned–nor had many other protesters. Rushdie’s book is a fictional work, but its narrative ignited a firestorm among Muslim leaders, who took offense at the book’s purported attacks on Islamic history and beliefs. Rushdie attempted to clarify the book’s meaning and intentions—explaining that it was not an anti-religious novel, but rather “an attempt to write about migration, its stresses and transformations.” But his explanation was uniformly rejected by Muslim leaders, and his subsequent apology was ineffective, as well. Some Muslim groups in the UK held public book burnings. South Africa banned the book before it was even published in that country. In Pakistan, six people died and 100 were injured during violent demonstrations against the book. Most countries with large Muslim populations banned the book and imposed stiff prison sentences and fines for possessing it. In the US, bomb threats caused two major bookstores to temporarily remove The Satanic Verses from their shelves. And, as is well known, Iran’s former leader, the Ayatollah Khomeini, issued a fatwa—a religious edict—against the book and called for Rushdie’s execution. When will the censors and book burners learn? Probably never. Does religious censorship work? In a word: no. Galileo’s principles live on. Maimonides is revered as a great thinker. The Bible is the world’s #1 best seller, in all its incarnations and translations. 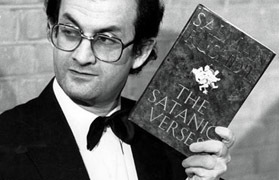 And The Satanic Verses—perhaps because of the controversy it sparked—became an immediate best-seller in the US and UK. No longer a religious person myself, I still support others’ rights to believe in whatever gets them through the day without violating my head space. While to me, religion is itself a distortion, people who distort others’ religious beliefs or demand purity of belief just aren’t helping. Previous Post:Corruption hurts: Who, where, how much?